Invoca not only lets you see what campaigns are driving your calls, but gives you a full picture each outcome. The result? Smarter, more efficient, campaign optimizations which drive more revenue-generating calls. With Invoca, you’re able to personalize the caller experience. 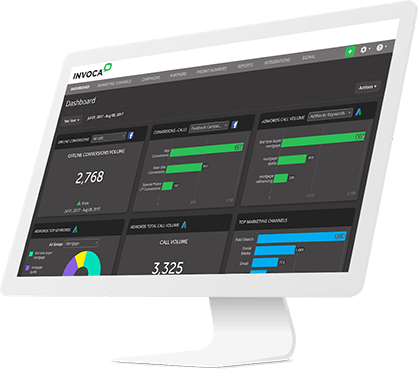 Invoca customers have gotten 10x better conversion rates by qualifying and routing calls based on factors like location, time of day, product interest, shopping carts, and more. A call isn’t the end of the journey! Each phone call provides valuable data including: demographics, interests, buying stage, and many more. Push this data into your marketing platforms then orchestrate your next action - such as a personalized email or targeted ad. Use your voice conversation data to enhance your other marketing tools. Integrations with platforms like Facebook, Google Ads, Salesforce, and Adobe Audience Manager allow you to use your calls to power your campaigns. "With Invoca we've transformed an online conversion experience with a throughput of less than 5% into a phone call that closes in the high 60% range." "We use Invoca with Adwords to really supercharge SEM campaigns." "We have already seen an increase of 30% revenue growth." "We saved over $100,000 from our paid search campaigns that could be reallocated to better performing keywords."